Bond Street Dental are now able provide a direct access service for dental hygiene treatment. 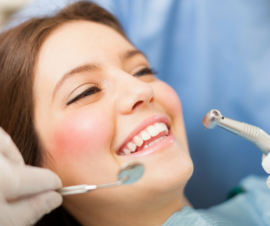 Ordinarily, a dentist would refer patients to the hygienist but now this step is removed and you can book an appointment with our skilled dental hygiene team directly. At the time of your appointment, you will be asked to update your health questionnaire and consent form. Our hygiene team carry out scaling and polishing to help with stain removal along with offering professional advice on how to look after your oral health to avoid any future problems. Your mouth will also be examined prior to any treatment and if a need for further treatment is discovered which your hygienist or therapist cannot provide, you will be referred to one of our dentists for an examination. You do not have to be an existing patient to book in to see a hygienist. We invite you to contact our team for further information and to book your hygienist appointment. Call us today on 01209 217203 to book your appointment today!